Enjoy Movie Cocktails At "Hachigatsu No Kujira"
You will find the bar, Hachigatsu No Kujira after a 5 minute walk from Shibuya. On the way to the bar, you will find a wall full of movie posters. This bar offers movie cocktails, so basically there is a menu full of movie titles and the master will make you the movie cocktail. This picture is a Star Wars cocktail.If you look closely, you can find R2D2 and BB-8. The master makes cocktails from over 600 different types of liquor! For Beer Drinkers: "Goodbeer Faucets"
Goodbeer Faucets is a beer bar that has over 40 taps of beer from all over the world, although most of the beer is Japanese or American. They also have small dishes and main dishes that is made to go well with the beer served. There's also 3 taps of real ale and some fruit beers and other seasonal beers that you can enjoy! An Inexpensive Bar Experience At "Coins Bar"
Coins bar is a very cheap bar, serving drinks and food all at 300yen! People come here for a casual drink, pregame before a night out, and to just enjoy the Shibuya nightlife inexpensively! They have traditional cocktails, beer, wine, whiskey, vodka, tequila, etc. Moreover, they have sake as well as original cocktails that use sake to make the drink! A Visit To A Chill, Jazzy Bar: "JBS Shibuya"
JBS (Jazz, Blues, Soul) is a hidden bar in Shibuya, and there are more than 11,000 records in the bar. The owner selects the perfect tunes for the night and spins them on his turntable. If you love music or are looking for a place with good vibes, this is the place to go! The drinks such as beer and wine are only ¥500, and you can enjoy your glass while listening to nice music in a cozy, chill atmosphere. Slip Back Into Time To Showa Period At "Hanbey"
A step inside this store, you will feel like you slipped back into time. You can enjoy some Japanese food and drinks in a retro, Showa period atmosphere. The food and drinks are shockingly cheap, such as a yakitori only being 50yen and a beer is only 290 yen. They also have interesting cocktails and drinks that mix retro Japanese candies and snacks into the drink! You can have a cheap but super fun and memorable night at Hanbey! As it is a very popular place, making a reservation is recommended. A Casual Standing Sake Bar: "Sakestand"
Sakestand was created with the owner wanting more people to casually enjoy Japanese sake. Therefore, this bar is a standing bar and has a casual, calm atmosphere. There are many different types of sake, but the price is only ¥390- ¥490. 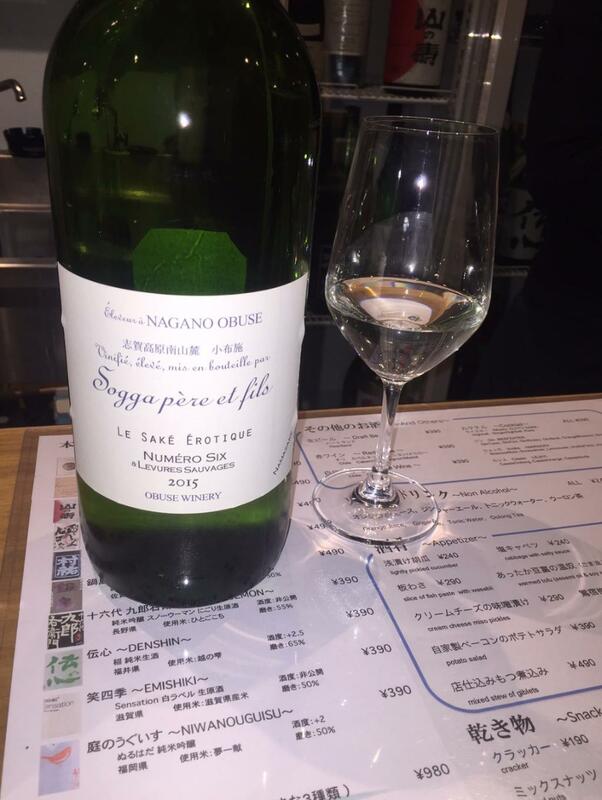 The sake is not served in the traditional Japanese glasses, but in a wine glass! Enjoy some inexpensive but good Japanese sake at Shibuya! Did any of these places interest you? 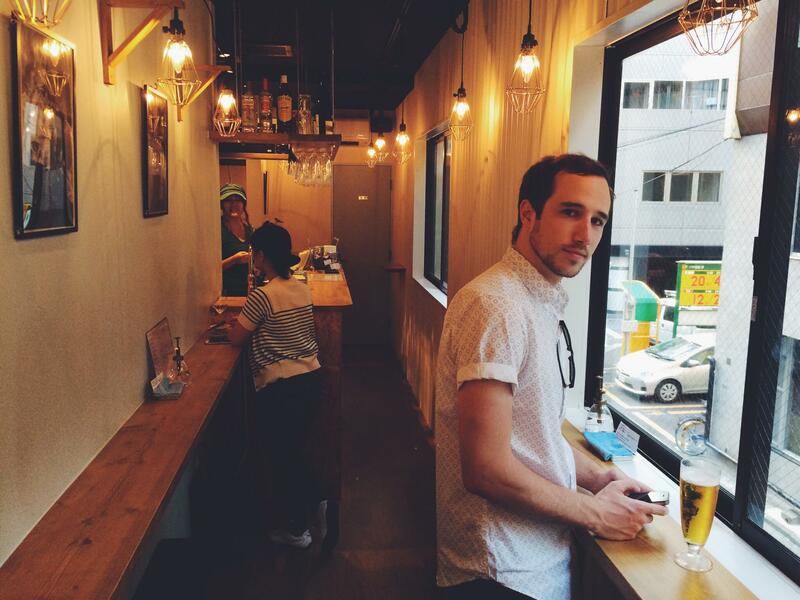 As you can see, there are many inexpensive but unique and fun places to drink at Shibuya. I hope you will use this as a guide when planning a night visit in Shibuya! M-SPO In Shibuya, Tokyo: Eat, Play, Drink!